You have to work with a comprehensive overview when you are planning for the future. People who go forward with their heads in the sand hoping for the best often receive a rude awakening when certain contingencies present themselves. With this in mind you would be well-advised to apprise yourself of the costs associated with long-term care. These rising expenses are a major concern, particularly within the elder law community. 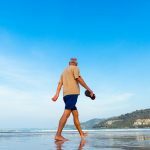 Some 70% of senior citizens are going to need long-term care at some point so it is not logical to simply assume that you will never need such care. If you combine the average length of stay with the current average cost of residence in nursing homes and assisted-living facilities, you could be looking at expenses of $200,000 or more. A lot of Americans would find it difficult to simply write a check for this figure and not think much of it. There are strategies to address these costs, however, and one of them involves long-term care insurance. Long-term care insurance is often thought of as nursing home insurance, assisting the insured by paying all or part of their nursing home expenses. But many policies permit the insured to use insurance proceeds to pay for in-home assistance that will allow an individual to stay in his or her own house instead of entering a nursing home. Many people shy away from long-term care insurance because of the high premiums associated with 100% coverage of nursing home expenses. But there are many options beyond the 100% coverage policy; these options range from partial coverage (to act as a safety net) to life insurance that provides long-term care coverage (to ensure that the entire premium is not lost if no care is needed). We will have more on these long-term care insurance options in future posts. Long-term care insurance, while expensive, is frequently the best option for individuals concerned about nursing home costs. 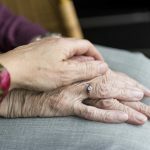 If you are no longer eligible for long-term care insurance and are concerned about the cost of nursing home care, an elder law attorney may be able to assist you with alternative planning to protect your family from the financial burden of nursing home care..